Push the plunger and the wheel comes to life with sparks and swirling colors. 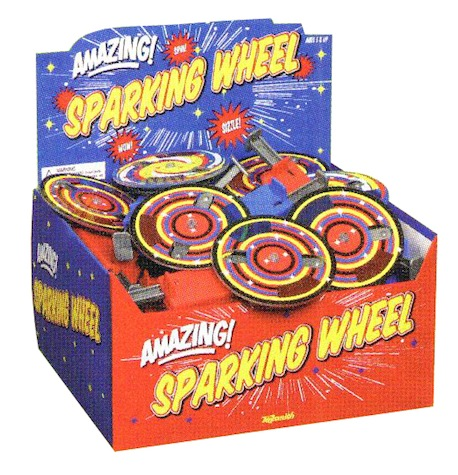 A perfect toy for Fourth of July or really any celebratory moment! Price per Sparking wheel.